You’ve heard it all before – distracted drivers are dangerous drivers. However, a distracted driver is one of the main causes of vehicle accidents, injuring thousands and killing hundreds every year in Minnesota. It is hard to put an exact number of how many accidents are caused by distracted driving but reports claim the number is anywhere between 25 and 50%. 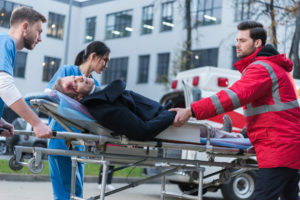 If you or someone you love has been seriously injured due to someone else’s negligence behind the wheel, then contact McEwen and Kestner, PLLC to discuss your options for compensation as well as justice. Our traffic signs and laws have been implanted for a reason. There is no excuse for not obeying the traffic signs, for driving while texting or for ignoring the road. It does not matter if your boss is on the phone, if you need to change the CD or if your lipstick needs reapplying – there is no excuse for distracted driving, especially when it causes a traffic accident. Driving while on a cell phone, changing the CD or doing anything else that takes your gaze and your focus off the road will result in interference in your cognitive recognition. If you need to stop suddenly and react quickly to your surroundings, your brain may not relay the message in time. Furthermore, when you only have one hand on the wheel and the other one on your coffee mug, you do not have complete control over your car. Distracted driving can result in serious car accidents such as head-on collisions as well as bumper-to-bumper accidents. Furthermore, the driver can seriously injure others on the road. Some of the more common injuries we see due to distracted driving include spinal injuries, brain injuries, organ damage and internal injuries, permanent disability, fractures and broken bones and death. In addition to the physical damage distracted driving can cause, you may also be facing emotional and financial suffering as well. We will work to ensure that you are fully compensated for any medical expenses, lost wages, rehabilitation and therapy, pain and suffering and other applicable damages caused by a speeding accident. Let us help you get back on your feet after a car accident caused by someone else’s negligence on the road. Contact McEwen & Kestner, PLLC at 651-224-3833 or toll free at 800-732-3070 today to get responsible legal advice and financial compensation you deserve.